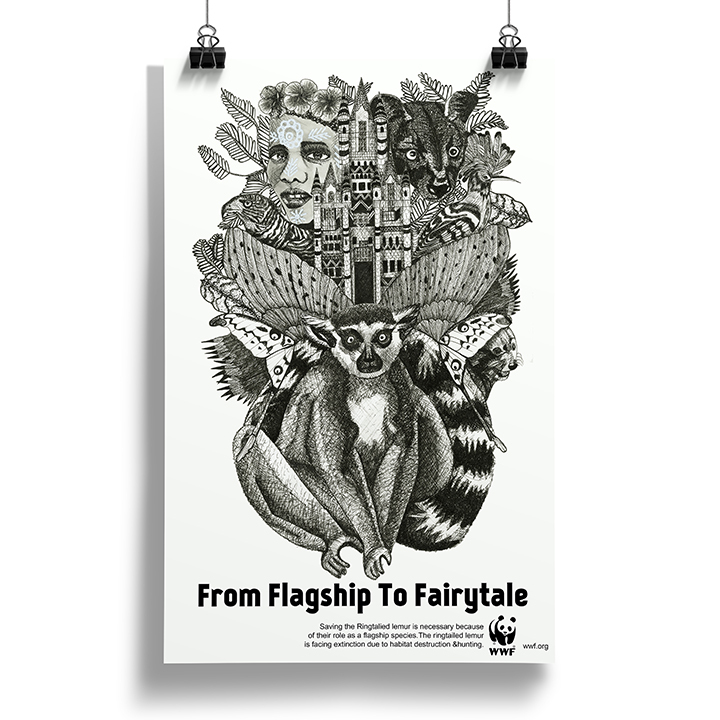 This project was designed for the World Wildlife Fund. 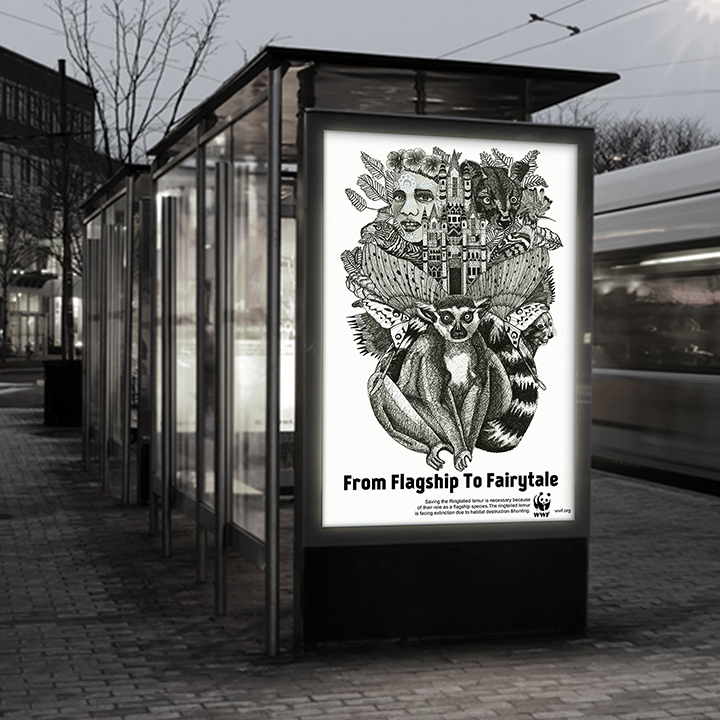 It is designed to be a creative advertisement for Ring Tailed Lemur Conservation. 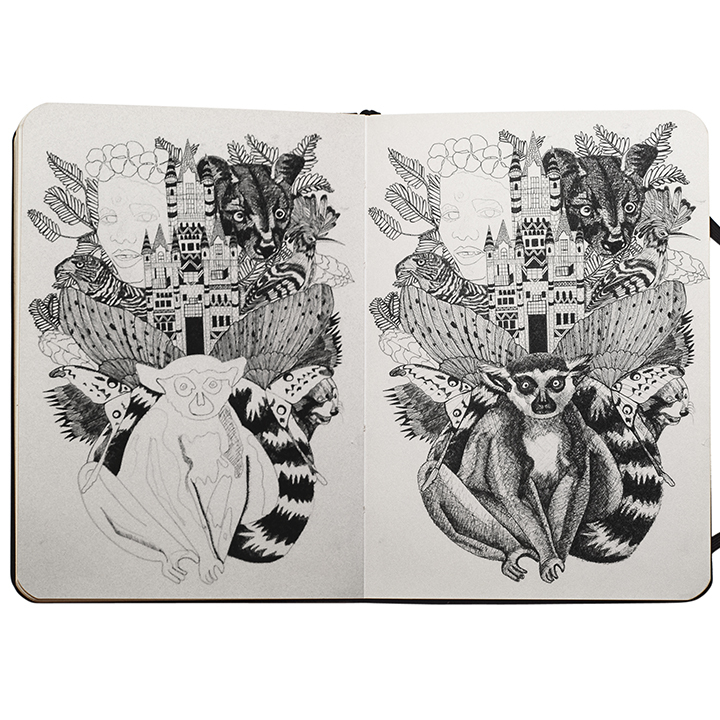 The objective for this project was to create a piece of art work that showed some of the species that depend on the lemurs survival. Showing that if the lemur goes extinct many other species will follow and all of them will only be told about in stories. The art work is meant to grab peoples attention and then once engaged will read more about the plight of the ring tailed lemur. I wanted to use a font that looked clean and bold. I Decided to use KanKin which is a is a new contemporary sans serif. I used Helvetica in the description due to it being a legible and clean type face. I used pen and ink for this illustration. It was scanned on a large format flatbed scanner. Text was added through Adobe Photoshop.